Midea's climate-control devices work day and night giving hotel guests around the world the comfort they deserve. Their HMB82 line of PTACs come in a range of Btu versions: The 9,000 Btu version will heat or cool any area up to 400 square feet. The 12,000 Btu version will heat or cool any area up to 550 square feet. The 15,000 Btu version will heat or cool any area up to 700 square feet. No matter the space involved, Midea's HMB82 series has what it takes. They vary in Btus, but they all have one thing in common: a wide array of the most convenient features around. Large, carefully engineered ventilation doors ensure fresh air is always circulating for a clean, healthy atmosphere. No risk of a stuffy room with one of these PTACs on the job! But even the most effective and efficient air conditioner in the world would lose serious points for a sub-par control system. That's why Midea designed their HMB82s with bright, easy-to-use electronic control panels and LED/digital displays. 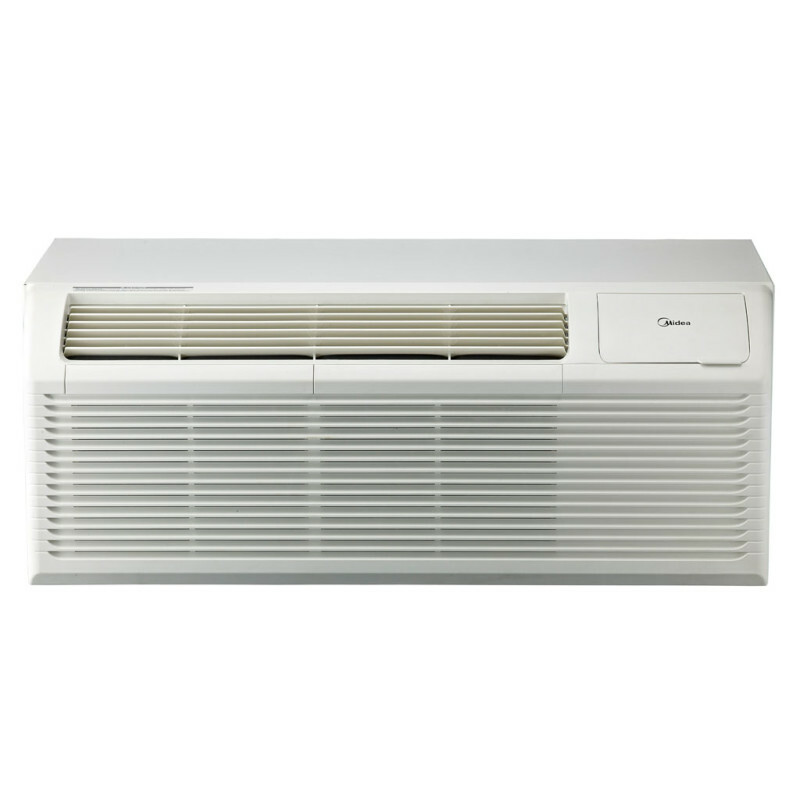 Selecting your ideal temperature and fan speed has never been so easy. As if that wasn't enough, your guests are in for an even bigger treat when you put the remote in their hands. That's right, these PTACs even come with a remote control so users can pick their favorite settings from the comfort of their sofa, chair, or bed. With a built-in Auto Defrosting feature and premium dehumidification, these PTACs will keep right on doing their job through every season and bout of bad weather. Every model is certified by the product safety organization UL (formerly Underwriters Laboratories) for safe, efficient usage. Midea's goal has always been to give hotel owners a way to provide their guests with a cozy, peaceful atmosphere. The HMB82 line is yet another victory on that front.